When Orvis contacted me about giving one of their schools a try, I was over-the-moon, yet filled with tons of different emotions. On one hand, I would be learning from the best of the best, but on the other, I would truly be experiencing something I had never done before; the most authentic novice experience ever. Orvis is a leader in fly fishing and wing shooting, and this year, they're celebrating their 50th anniversary of their fly fishing schools. In fact, they've taught over 50,000 people to fly fish! With expanded course-offerings that include wingshooting, the schools offered by Orvis are dedicated to teaching experts and novices alike everything they need to know about shooting instruction. 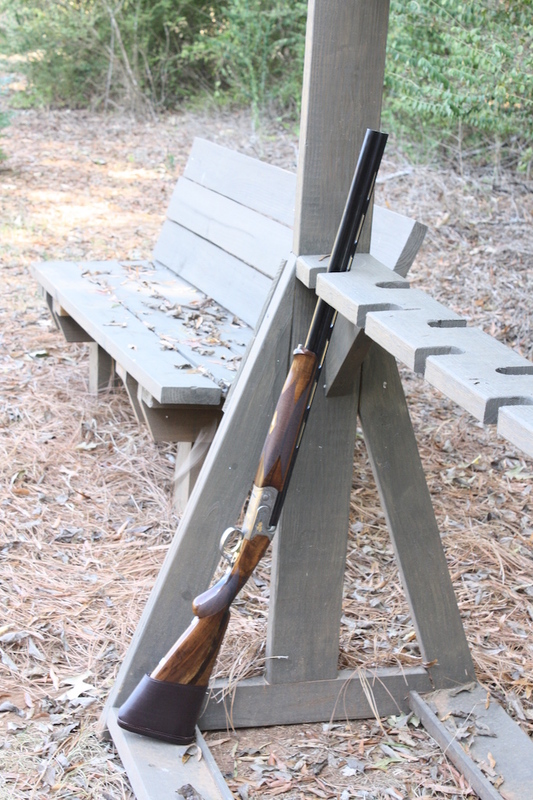 Earlier this week, I had the opportunity of a lifetime to experience the Pursell Farms Wingshooting school in person. Not only did I learn everything I could possibly learn about gun safety, equipment, terminology, and more, but I also learned how to trust my gut and build my confidence. I brought my friend Olivia (a fellow first-timer) to the school to give me some company. Pursell Farms is located a little over two hours from Atlanta in Sylacauga, Alabama, so our day started nice and early. We basically watched the sun rise and set on I-20. The roads to Pursell Farms meander through small towns and beautiful Appalachian foothills. It's funny; every time I travel through north Alabama, I forget how mountainous the region is until I see it again. It's beautiful. 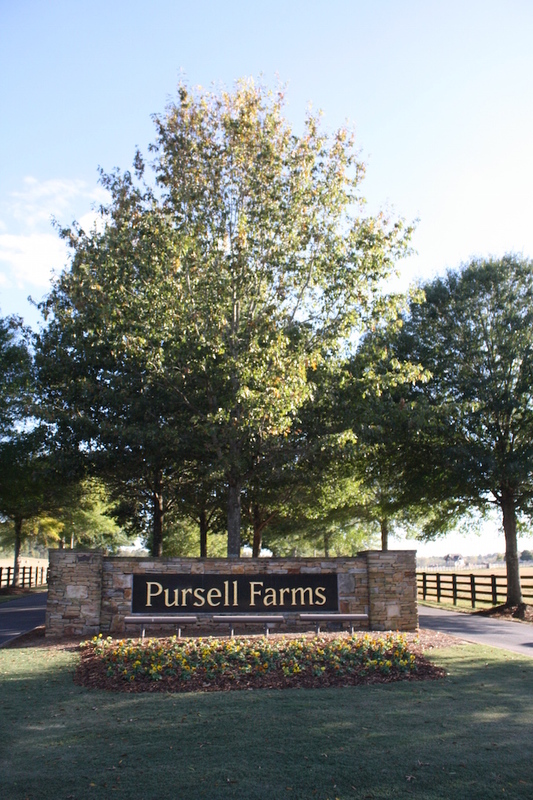 Pursell Farms originated as the site of Pursell Technologies, a fertilizer company, but when owner David Pursell realized that clients could see his products in action in the form of a golf course, he built Farm Links, a stunning public golf course, and the family has since been turning Pursell Farms into a regional family farm resort complete with a spa and the future home of a lodge and fine dining restaurant. 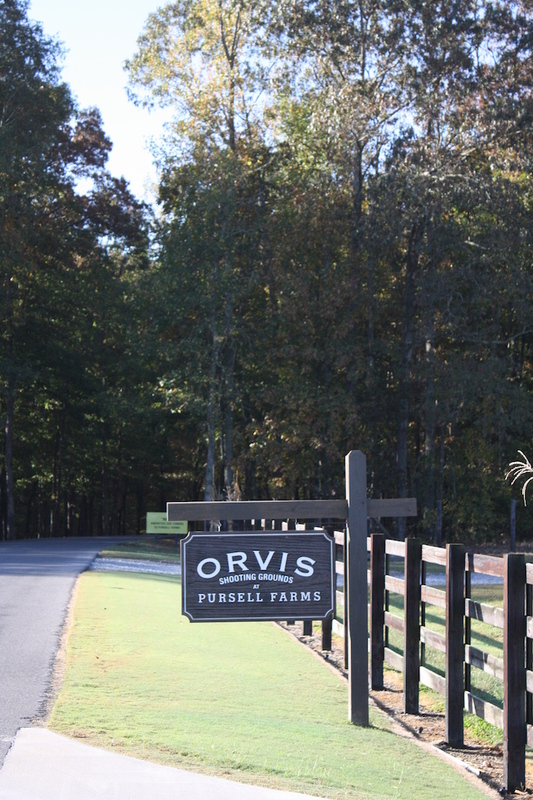 The marriage of Pursell Farms and Orvis is perfect. The land and the activities play beautifully off of each other. Our wingshooting instruction started at 9 o'clock sharp. Olivia and I joined our fellow shooting peer, Cliff, and our instructor, Darnell, for a morning of introductions, gun safety, and general information. Then, we loaded-up the golf cart and headed to the instructing site. There, we learned from the most patient, kind, and knowledgeable instructor ever. Darnell's patience was truly special. He didn't rush or bully us into trying to hold the gun or fire it. He made sure we were holding it properly and felt completely comfortable every time we attempted to shoot. If we ever seemed unsure, he suggested that we take a break and would answer any questions we had. I never felt intimated by the class, and if anything, I felt totally empowered and educated. Any apprehension I had (and I had A LOT of apprehension) washed away. Of course, I remained a pinch nervous every time I tried shooting, but I can't help but think of it as a rush of adrenaline combined with the fact that I had never so much as touched a gun, much less fired one until Monday. Throughout the day, the three students took turns wingshooting. Olivia and I didn't quite have the level that our peer did, so we were comfortable watching him make minor corrections and hone-in on his skills. As a group, we enjoyed lunch at Pursell's clubhouse with rolling views of the golf course and a delicious meal with intriguing conversation. After an afternoon of more clay shooting, we we toured Orvis' clay course which would totally be up Hunter's alley. I'm happy to say that Olivia and I both graduated from wingshooting school with certificates and pins in hand to show for it. A success! I cannot say enough nice things about our time with Darnell and the rest of the staff at Orvis. Anne Marie welcomed us into the retail shop and spoke with us about everything in the shop. GM Blake was there to greet us in the morning and ask us how everything went when we returned. We even met one of the other instructors who spent some time with Cliff for a gun-fitting while Darnell worked closely with us in the afternoon. The attention to detail and the personal experience is unmatched. We laughed at jokes; we made sure not to cry if we got frustrated, and we had an absolutely amazing time. With the holidays around the corner, l can think of MANY recipients would love a trip to Pursell Farms to the Orvis fly fishing or wingshooting schools. Orvis offers hourly instruction along with one-day and two-day schools. One-day schools are $575 while two-day schools are $1,149. Schools run every month of the year, so they'd make a fantastic gift! Ladies, take a peek at everything that Orvis has to offer as a gift for a son, father husband, or even yourself. If Pursell Farms isn't close enough for you, take a look at their many other schools. I'm sure you'll find one near you! Thanks so much to Orvis for collaborating with me for this post. While I received a complimentary trip to Pursell Farms Orvis wingshooting school, all opinions are my own.